In case you missed my recent post about the importance of vitamin D testing – I had myself tested for vitamin D deficiency as I had slight concerns that I wasn’t getting enough. 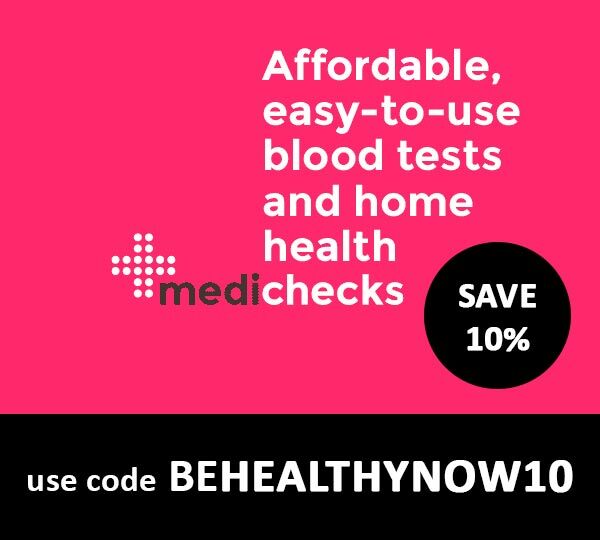 I ordered the test through BetterYou, which was quickly sent to me and then I sent the collection device with my blood sample to NHS laboratories for analysis. I excitedly waited for my vitamin D results, but not for long! 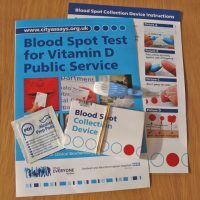 I received my vitamin D test results very quickly – I posted the collection device on Saturday and received an email from NHS with results on Wednesday so basically, I got my results within a few days which is really good. And what were my results like? Although I was hoping for adequate levels of vitamin D in my blood, I correctly guessed I would be insufficient. Yes, the test results weren’t that much of a surprise to me, considering that I like to cover up in the sun and wear sunscreen whenever possible. And getting enough vitamin D through diet alone is not really possible, you really need to supplement when not exposed to the sun often. At least now I know where I stand and I know I have to increase my vitamin D levels for optimum health. Here are my results: When NHS sent me an email with my results, they, unfortunately, forgot to copy BetterYou in the email, so BetterYou haven’t received my results and therefore I haven’t heard from them with recommendations on supplementation. However, I did contact them myself and they sent me recommendations straight away. They also sent me free vitamin D oral spray which I received by first class post the next day. I was very impressed with BetterYou customer service and speed. I highly recommend them and just to make you aware – they don’t only offer vitamin D supplements, but also other vitamins and minerals in more natural form. Vitamin D is an extremely important vitamin, but is very hard to gain through diet alone – in fact only 10 per cent of our intake is through food. The rest is absorbed through sun exposure. Although a fat-soluble vitamin our bodies only begin to store vitamin D at a serum level of 100 nmol/L under this we use everything we receive. Therefore, at 32.7nmol/L, we would recommend you increase your levels. · Following this, 1 spray per day as a maintenance dose. I already started supplementing using the vitamin D oral spray they sent me, but I also wanted to use up the vitamin D capsules from Together which I bought previously, so I included them as one of the doses as well. After I had my vitamin D test done, I couldn’t resist it – I bought another one, but this time for my boyfriend! I just needed to know what his levels were (I was hoping my levels were better than his but very unlikely). His results? His levels turned out to be adequate. I did wonder why and I came to a conclusion that this was because he doesn’t use as much sunscreen as me and his body then stores all the extra vitamin D which then gets used in winter when needed (he can’t be getting enough with his diet either although he is eating more fish and eggs than me). people with low or no exposure to the sun. If you had yourself tested for vitamin D deficiency, I would love to know your results. 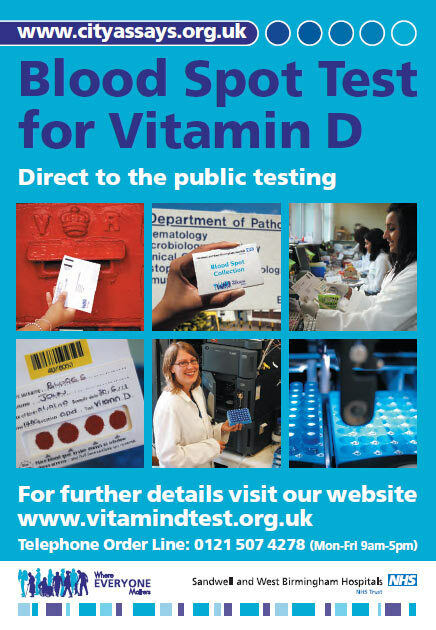 If you are yet to get yourself tested at home I highly recommend buying vitamin D testing kit directly from BetterYou as you will also get a complimentary DLux Vitamin D Oral Spray at a strength relevant to your results. To buy from Better You go to this page. Until a relative got sick, I was unaware of the importance of Vitamin D. She had a neuro immune disorder, for which a very low Vitamin D in the body was given as a possible reason. Fortunately for me, I live in a tropical country. Hopefully, it’ll not be too late for me if I start waking up before 8am and getting myself at least 20 minutes of sunshine daily. 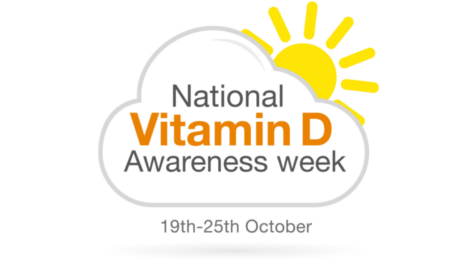 General public are normally not aware of the importance of vitamin D but hopefully more people learn about it over time as it’s a crucial ‘vitamin’ which keeps you in good health. It sounds like a good idea trying to get your daily vitamin D by staying in the morning sun! I prefer getting my dose by supplementing. It’s good to get yourself tested for deficiency though, just so you know where you stand. Did you get another test after taking the supplements? Did your levels improve? Did you feel better after increasing your levels? I’ve been taking vitamin d3 liquid capsules but am wondering whether a spray or liquid might be more effective. Guess I should have the test. Also, have you had, or would you recommend any other tests for vitamins and things like that? I take quite a few supplements but would love to know what I actually need and if they are working. Hi Joe, I recently had a vitamin D test done again and that was through NHS as I mentioned to a specialist doctor that I’ve been taking supplements. The results came out normal which I am happy about. This means supplementing works. I believe that liquid supplements absorb better. I’ve been using Vitamin D spray from Better You before I had the latest test done. I don’t know any other tests for vitamins which I would recommend. The best is to look at your diet and see if you really need to supplement. For example, you should be eating at least 2 portions of oily fish every week to ensure you get your omega 3s. If you don’t, it’s good to supplement. I use omega3 oil which I add to salads and even porridge. You haven’t mentioned the importance of taking k2 – mk7 with the vit d, nor the possibility that magnesium may also be needed. The k2 is important as when your vitd levels rise your calcium levels also rise, you need the k2 to direct this to your bones or else it will go to your cells which will cause problems. Thanks for your contribution Berni. I am well aware of that but this post is only focusing on my vitamin D test results, not on details about vitamin D absorption. It’s a good idea to make people aware of this though so I think I will write a separate post about it. Since January I had gradually worsening fatigue, joint and muscle pain and stiffness, (despite walking each day and doing physio exercises and stretches and taking a multi-vit with Vitamin D) I asked for a test in May, as by then I had a permanent headache, visual disturbances (heat haze effect and flashing), constant aches and also numbness in my palms of my hands. I asked for a test and the GP reluctantly agreed. The results were 25n/mol, so deficient (despite keeping my arms and legs bare without sunscreen April to Oct and sitting for 20 minutes in midday sun weather permitting) I was prescribed 6000iu of Vitamin D for 6 weeks, during which time I also got plenty if sun exposure and ate oily fish 4 or 5 times per week. Although I started to feel a lot better after a few weeks and I had a retest after 6 weeks and mylevel was only 38n/mol,so still insufficient. The GP prescribed another 6 weeks 6000iu, told to buy my own 2000iu over the counter for 4 months, then retest. This seems crazy, if my levels were still insufficient after 6 weeks at high dosage and plenty of sun, I may only get to the adequate range in another 6 weeks. Surely it will drop lower in Autumn/winter on a lower dosage(I have read that on average our body uses 5000 units per day) and I could end up deficient again by the end of January! Wow, you had some really serious symptoms to start with but it’s good to hear that you feel better now. It’s so hard to get tested for anything at your GP these days and sometimes I think it’s just easier to do home tests or do it privately. It does take some time for your vitamin D levels to increase and at some point I know body starts to store it. It seems that you will have to continue supplementing through the winter especially because it will be difficult to get your daily does through sun. I am definitely planning to supplement as I know for sure that I won’t get enough through diet. I was prescribed Fultium-D3 3,200IU capsules for three months when my vitamin D levels tested at less than 20nmol/L. Told to go for a retest after three months. I’ve just been to my GP practice today and told they don’t test for vitamin D any more as “the lab won’t process them”. I asked how I would find out if my levels were back to adequate levels and was told the nurse didn’t know. I’m now waiting for her to call me back after speaking to a doctor. Has anybody else come across this? I think that GPs are reluctant to test due to people becoming aware of the health implications and high chance of deficiency in the UK will open the flood gates. I’m considering the Better You test as an interim and not waiting until I’m deficient again by my next test in Jan. In light of my own vitamin D levels, I asked my father’s GP about vitamin D deficiency at his elderly patient care review, as he hardly ever goes out. She said ‘he is almost certainly deficient, but we don’t test if he isn’t showing any symptoms’ . Excuse me? It occurred to me shortly after that as my father has Parkinson’s disease, many of the symptoms of which are the same or similar to vitamin D deficiency (and also magnesium deficiency I’ve discovered) and no-one has ever tested him for either!!! His GP has prescribed 800iu of vitamin D which is probably too low to make any difference. And neither his GP or mine have recommended magnesium which is necessary to work with vitamin D to store calcium. Also bone health may be an issue with D deficiency and they don’t test for this either! (Feeling rather frustrated with the NHS!) would definitely pursue the retest as your GP thought this was necessary. The problem with GPs is that they are not trained on nutrition so they haven’t got a clue! They don’t know that calcium, magnesium and vitamin D are all connected. Sometimes it’s just better to get yourself tested privately and get some advice from dietitian/nutritionist. Interesting to hear that the lab wouldn’t process the vitamin D test. I recently had myself tested at a hospital where I went to see a thyroid specialist. I think it really depends where you go and which doctor you speak to. From my experience, GPs just want to save money and they wouldn’t really test you for vitamin D deficiency unless you have some serious symptoms. Thanks for comments on retest. I’ve now been prescribed Fultium D3 800 IU capsules and told I will be taking them for the rest of my life. I’m concerned that, without a retest I don’t know what level my vitamin D is at after three months on the high dose and I’m still feeling as tired as before although muscle and bone pain are a lot better . Might consider the BetterYou test although it goes against the grain to go private! Good luck Liz! Sometimes we just have to pay for our own tests as doctors can be difficult. I am definitely taking vitamin D supplement throughout the winter months but I will probably do a home test at some point towards the end of the year to see where I stand. Can you guys tell me what the normal waiting time is on the nhs?My previous test at my gp came back showing I had 15.3n/mol. They never even told informed me. …When the doctor called, she told me they would take 4 weeks. I really don’t know what to believe anymore. She just sounded like she was trying to get rid of me.Does anyone know how long the results normally take to come back on the nhs? Recently I had my vitamin D test done at the local hospital and I got the results within a week. I think it really depends on where you have your test done as your surgery may send your blood to another laboratory to analyse (but I don’t know for sure). It shouldn’t really take that long. They are always funny when you ask them about your numbers on the phone. I always have to fight for it. They normally say they are not authorised but then I insist it’s my blood test and I am entitled to hear the results. They would go and check with doctor then and then give it to me. They are really difficult! This is really interesting!I have recently received my first vitamin D results after suffering from ME for 30 years and have exactly the same level as you.I am wondering if my so called ME chronic fatigue syndrome is in fact long standing vitamin D deficiency. Did you see any big improvements in your well being after taking the extra D.What is your level now and how much do you take. Since we have the same levels your situation is very very interesting. My current vitamin D levels are now what is considered normal (I think around 70) and I make sure I supplement regularly when needed (I use this Vitamin D spray from BetterYou, once a day: https://betteryou.com/dlux3000?aff=32). To be honest, if you are *not* extremely deficient, I don’t think you will experience many symptoms, but it really depends on person. I cannot remember seeing any big improvements in my health after I started supplementing. But I know there are benefits of getting enough vitamin D, like better mental health, improved immune system, cancer prevention, etc. And yes, if you suffer from fatigue, this could also be a sign of vitamin D deficiency but you will only know for sure if this is the reason for your fatigue after you’ve been supplementing with vitamin D for a while (see whether you fatigue goes away or not after a while). I will take a similar amount as you have done and see how things go. I have also ordered the test kit from betteryou (great minds think alike)and will test again that way in a month or so,and let you know then how i feel and what the levels are. I think this could be very interesting for the entire chronic fatigue syndrome /ME community as i think many of us have been fobbed of for years with these vague untreatable diagnosis. In 2009 it was suggested by an immunologist (who I had seen hoping to get some ideas about my then 20 year fatigue) that I should get my Vitamin D status checked as low levels were related to fatigue. 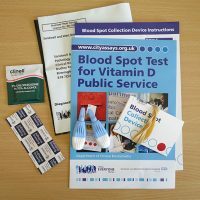 I called my GP surgery and asked if a test could be done,it was booked in for me and a few days later I popped in and had the blood taken(probably about the 1000th blood test Id had which always came back normal.When I called a week later for the results the receptionist said I would need to speak to the doctor(which was odd as they usually give the results over the phone) who told me the levels were fine.Which I kind of expected as I alway took a multivitamin. I live in the lake district, probably the wettest lowest sunshine part of the UK and have also for the past 30 years had a fear of the sun after hearing about sun related skin cancer which coincides with the onset of ME.I feel much better in the summer and am much more likely to have a severe relapse in winter usually January Febuary. Hi Daniel, certainly report back on your results! You had such a terrible service from your GP surgery. I normally request a printout of my blood test results, just for my records. Many times it’s less hassle if you go private, to be honest (if you can afford it). I would be really interested to hear whether ME and low vitamin D levels are linked. Please do let me know what you discover!